A highly active but gentle blemish gel which reduces spots super-fast without drying or irritating the skin. Blemished skin can occur at any time and when it does it’s important to treat it gently but effectively. Oily skin is not the ideal base for any make-up, so the first step to fabulous skin is cleansing, toning, and investing in a good quality oil-free moisturiser. 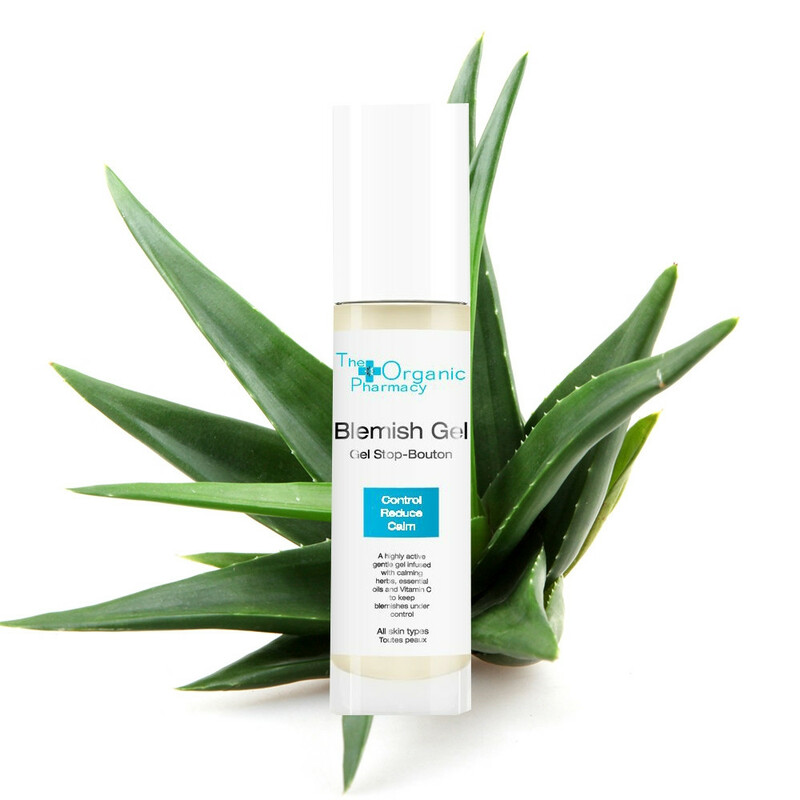 The Organic Pharmacy’s Blemish Gel will actively reduce spots and help prevent future breakouts. This ultra-gentle gel contains healing properties as well as antiseptic herbs and essential oils to reduce spots super-fast without drying or irritating the skin. Aloe repairs and reduces redness while Tea Tree, Manuka and Lavender provide a strong but gentle antiseptic action. Propolis, Echinacea and Marigold soothe and repair. Cedarwood balances oil production keeping your oily T-Zone under control. Ideal skin: Perfect for all skin types, especially oily and blemished skin. Usage: Apply directly to spots 2-3 times a day using clean hands. Tip: Try not to touch your face with your hands too much during the day as this introduces dirt and grime into the skin’s pores. Matching Products: Use alongside The Organic Pharmacy’s Herbal Toner and Dr Hauschka Clarifying Clay Mask.